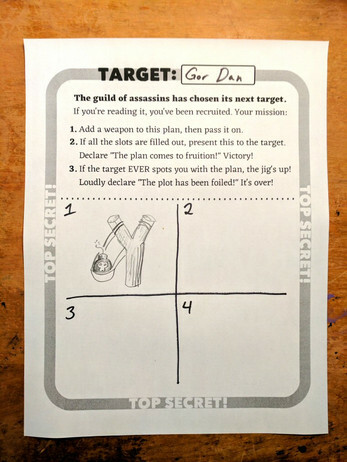 Uroos Maluroos (or The Murderers) is a secret party game of note-passing and deadly weapons. (Don't worry, the weapons are just drawings!) No one knows about the game until they're handed The Plan. Don't let the target see you holding it! To play, one player will need to prepare (or "Seed") the Plan. You can download a printable version. 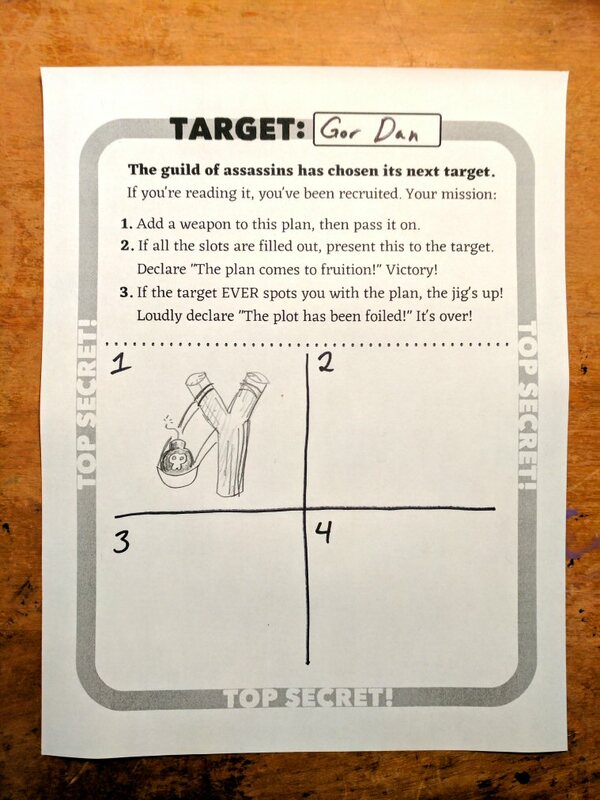 Choose a target, divide the Plan into numbered spaces, and pass it on to someone at your next party. Uroos Maluroos is a Sorry Not Sorry Game.